If you're anything like me you've spent a fortune on eyeliners: shadows, powders, gels, markers, you name it! On a random trip to Nordstrom Rack, I couldn't help but be drawn to the clearance bins near the purses at the front of the store. I wasn't looking for anything in particular but ended up leaving with a facial mask for 1.99, a NYX Soft Matte Lip Cream in Transylvania for $6 and THIS...NYX INFINITE SHADOW CREAM. Let me tell you, this stick is LIFE. Say goodbye to the days of looking like a racoon, smudging liner, wack oily liners and the black eye boogies (don't front, you know lol). 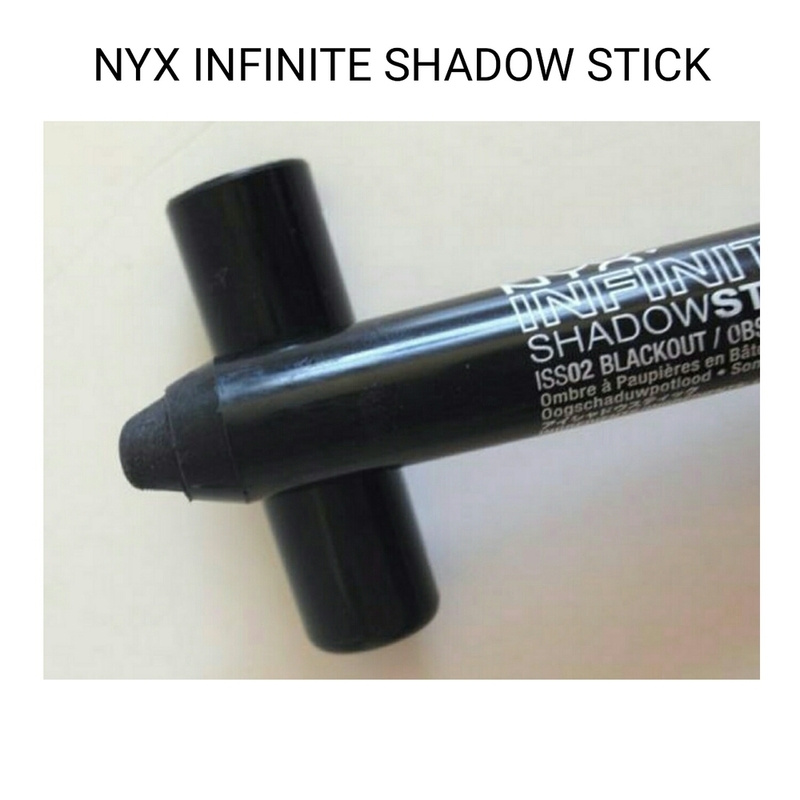 This shadow stick is smooth and creamy like a gel but controlled and set like a pencil. It's jumbo size makes getting that bomb, bold eye that I crave. So when it was first time to sharpen this thing I would have made my mom proud if anyone would have seen me trying to twist the bottom. Didn't work. Then I get pissed thinking they made this thing $9 (original price, ya girl got it for $5 of course!) and I can't sharpen it? The whole pencil is plastic and I have never sharpened a plastic pencil so how was I to know?! Thank goodness for Google. The plastic design turns out to be genius! It sharpens like butter unlike most wood sticks. Do me a favor and try it out! Tag me your review @sylebyaarikalauryn or leave a comment below.